When my 13 year old told me stories of snitching friend’s toys when they were not looking, I did not take it seriously. I laughed at his jokes. I seriously believe that this is not a sign of bigger dishonesty when he comes of age. Child development experts have always been unsure if your young child is capable of telling a lie. They can joke around, do theatrics or report things incorrectly but deliberately deceiving his or her parents? Now they know what many parents have observed and suspected. Studies show bright kids, capable of making up stories and getting others to believe it pick up such skills at the age of 2 or 3. It’s mostly a game for them, to stretch the truth at times. However it’s extremely important for parents to nip this bad habit in the bud. 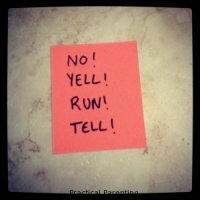 Shouting or grounding your child will not change much, instead follow a different approach. First and foremost you need to stay calm. – Most of the kids lie when they fear your response. When my daughter Jessica (aged 3) and Shiraz (aged 6) were caught doing things they were not supposed to, they would falsely claim that the other pushed, or they would blame each other. If you want them to tell you the truth, try reasoning them in a normal tone. Avoid Setting Her Up. There's no point in asking, "Who ate all the potato chips?" when the bag is empty and your child has greasy fingers and lips. If you want to see if your kid will come forward try saying something like, "I see you wanted to have a snack. Please ask next time. If it's not too close to dinner, you'll be able to have a few. Now let's wash up." 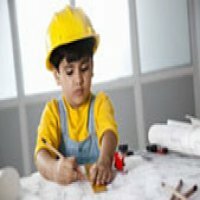 Reward honest behavior- Parents need to understand that rewarding positive behaviour is the best way to make it happen again. So when your 5-year-old owns up to knocking over her big sister's dollhouse, you should praise her for telling the truth. This doesn’t mean that your child is off the hook, he still needs to clean up the mess and apologize to his sister. Follow these simple steps and you will be fine. Enjoy. Write to us at contact@maabeti.com. Share your thoughts on this article here. What Moms can learn from Aishwarya Rai-Bachchan? What Aishwarya Rai-Bachchan teaches us Moms?